The case of HH v BLW  EWHC 2199 (Fam), reported today on Bailli, deals with the rare instance of a costs order made in private law children proceedings. It is something of a sad case, with the costs awarded against the father when the court made no order on his contact application, after the CAFCASS officer ascertained that the child did not wish to see him. It is also somewhat sad that the order was made in circumstances where the mother's solicitor had been firm to the point of being aggressive, whereas the father's solicitor had been far more conciliatory, proposing mediation to avoid the need for an application. How, then, did the costs order come to be made? The mother and father lived together for a number of years, and there was one child of the relationship, a daughter, born in June 1996. The parents' relationship broke down and they separated in 2001, the daughter remaining with the mother. The father had contact with the daughter until June 2011 and during September the mother told the father that the daughter would not be having any further contact with him. "I am extremely surprised that you have advised your client that he is entitled to make an application to the court for a contact order. As [the child] is almost sixteen I do not think a court would want to be seised of this matter, and would take the view that if [the child] wants to see her father it is up to her to contact him...Kindly inform your client that, if [the child] wishes to contact her father in the future, she will make that decision herself." "Should you insist upon proceeding, we will treat this as 'litigation conduct' and we will ask the court to make an order for costs against your client, even though we are in Children Act proceedings. We take the view that any application to the court for a child of [the child's] age is not only misplaced, but is a form of harassment as well as an abuse of the court process." "Our client has no intention of asking the court to impose an order against [the child's] wishes. His application to the court has been made as a last resort. He has repeatedly offered to attend a mediation service with your client and it is a matter of great regret that your client has refused all such offers. In the circumstances, our client has no alternative but to seek the court's assistance in this matter at the hearing tomorrow." A First Hearing Dispute Resolution Appointment ('FHDRA') took place on the 14th March. A CAFCASS officer met with the child and reported that she firmly expressed an unwillingness to see her father at that stage. In the light of this, and without any resistance by or on behalf of the father, the district judge ordered that there be no order on the father's application as to contact. At that point the mother's solicitor applied for costs. After hearing further submissions on behalf of each parent, the district judge ordered the father to pay the mother's costs, which were summarily assessed in the amount of the mother's solicitor's schedule, namely £2,468. "It is, in my view, somewhat exaggerated to characterise the making even of an initial application as to contact in relation to a child then aged about fifteen and a half as either "a form of harassment" or as "an abuse of the court process". "The court has a broad discretion to make such order as it thinks just, and the court has to consider in the circumstances whether it is right to order the father to pay costs, whether by reason of his litigation conduct or simply because it is the right thing to do." Mr Justice Holman agreed that that was the correct approach (paragraph 13). "So far as I am aware, there is no mechanism as yet whereby a parent in the position of this father can engage the services of CAFCASS so as to ascertain and report as to the wishes and feelings of his child, save by first taking the step of issuing an application, within which the first significant procedural step is the FHDRA." "...it seems to me that this was a perfectly reasonable and justifiable application for this father to have made. It would, of course, rapidly have become very unreasonable, and indeed misconceived, to proceed with it a moment beyond the course and content of that FHDRA on 14th March 2012. If, having heard the report from the CAFCASS officer, the father had nevertheless persisted with his application then he would soon have been acting with folly, but he did not do so." 5. 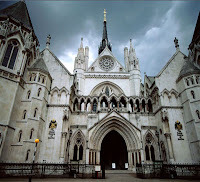 That, notwithstanding that, the appeal lacked any proportionality to the amount at stake (taking into account the mother's costs of the appeal (the father's solicitor and counsel had agreed to act on the appeal free of charge) and the amount of court time involved) and there was no other compelling reason why the appeal should be heard (r.30.3(7)(b)). For the reason of proportionality alone, the father's application for permission to appeal was refused (paragraph 36). Comment: The father is a man of not insignificant means, so I think for him it was a matter of principle rather than money (his counsel said as much - see paragraph 33). In that, I think he was successful, even though his application was refused. If the judgment is to be followed in future cases, then it is quite clear that costs orders should not be made in such circumstances. 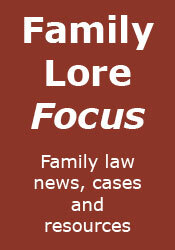 The case also says something helpful regarding the use of an application to ascertain the wishes of the child. This seems a very tough decision. From my quick reading, the father only failed because of proportionality. In other words, persuade the district judge at first instance, or forget it. At least one would hope there would in future similar cases be a better chance of succeeding in opposing a claim for costs at first instance, given the other comments. Yes, it is a tough decision, and the father did only fail because of proportionality. However, as I indicated in my comment, the judgment does make it unlikely that costs orders will be made in similar circumstances in future cases.